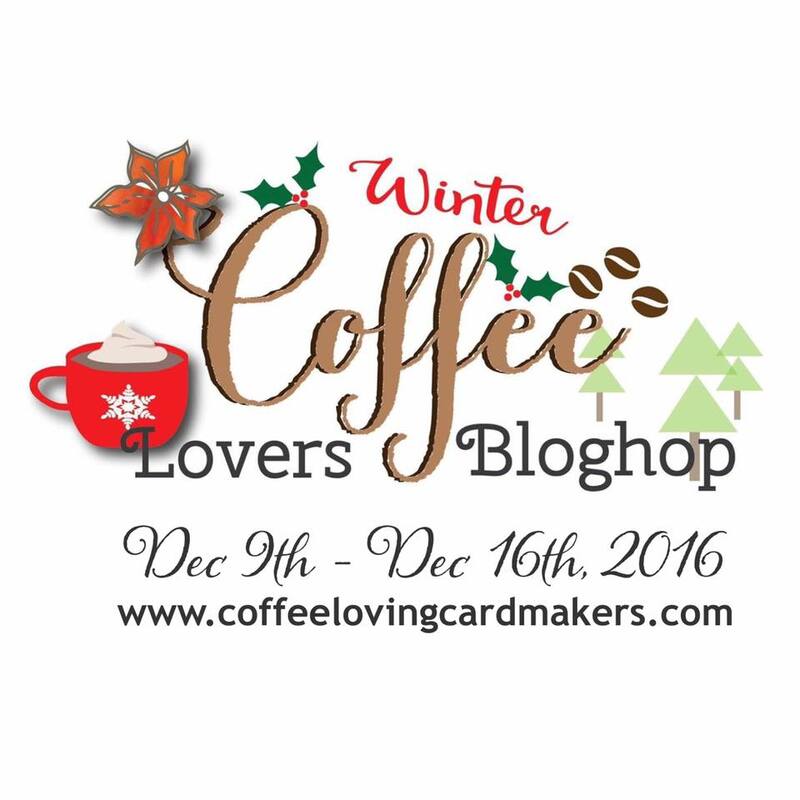 Welcome to the Coffee Lover's Winter Blog Hop! A Jillian Vance Design is proud to be a Super Sponsor! Hello, everyone! Today I finished my last final exam of the semester, and I figured a pot of hot chocolate was appropriate! I'm ready for a relaxing Christmas break with my puppies, some good books, and Netflix! 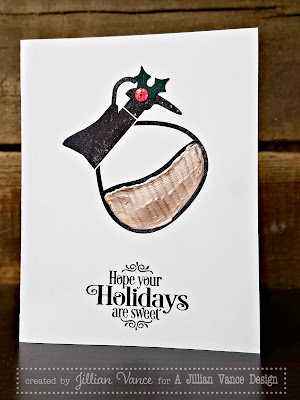 Just a little holly (from Sam E. Snowman) on the handle and it is good to go! I hope all of you have a wonderful Christmas and a Happy New Year! Love the hot chocolate and the colour paste, it took an average stamp and made an awesome card! Such talent!